A poodle maltese mix is a cross between maltese and poodle dogs. 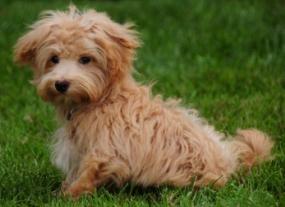 They are also called a maltipoo or a malt-a-poo. They are so cute! You just want to pick them up and hug them! Maltese dogs are of average intelligence and can be hard to train and housebreak. If you can afford to invest in training, it's probably a good idea to do this. If not, look for housetraining videos to help you train him. A maltese poodle mix has an affectionate and playful side. You'll love playing games with him! They're good companion dogs but might get feisty at times. They are very cute dogs! Their wavy, woolly coats need to be brushed every day. If it is, they won't shed. So make sure you will have time for this before you get one of these dogs. Their coats are good for families where one or more family members suffer with allergies. These hybrid dogs come in black, brown, gray, apricot, cream, red, silver and white colors. The poodle parent is usually a toy so the dog will be a small dog. They will weigh 4 to 15 pounds and be 7 to 15 inches in height. 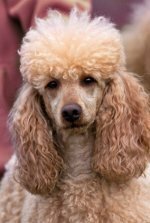 Occasionally the poodle parent may be a miniature poodle. They like being active, like going for walks and like playing fetch games with balls. They also like to bark. Their average lifespan is 10 to 15 years of age. Common health problems include liver shunts, epilepsy, skin diseases, eye problems, hip problems and endocrine diseases. 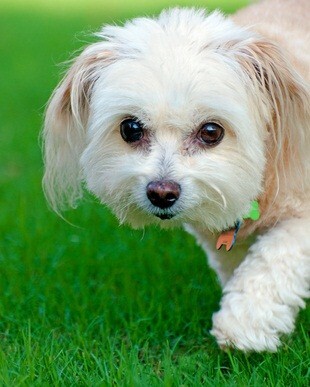 Your maltapoo will be a loving and devoted family member as she grows from puppy hood into senior dog status. Love her and you will have that love returned 1000 times over.